We could begin with ZACHOR: NOT ONLY TO REMEMBER is a history of how we started and progressed that includes stories of our Liberators and Survivors in World War II. We could tell you about the many satisfying and joyous times we have as volunteers despite the seriousness of our mission, but that too would only be part of it. We have grown our mission. 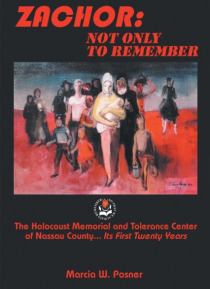 We use the lessons of the Holocaust-- whe… n no one stood up for the Jews-- and apply it to todays victims of social injustice in our own communities. Thats what we wanted to tell you.